Although not yet fully visitable and functional and with much work to be done in its late construction stages, ArchaeoPark ASAIR and the team behind it tries to offer new perspectives on a mostly unknown civilisation, the geto-dacians, on their homes, their trades, their beliefs and ultimatelly their way of life. establishing a global network and cooperation programmes to raise public cultural awareness. Located near Bucharest, in Bragadiru (Ilfov county), ArchaeoPark ASAIR wishes to be both an open-air museum, comprising (re)constructed structures found in various archaeological sites, and a “laboratory” for testing hypotheses found in the archaeological literature, as well as providing new possible solutions to issues otherwise unresolved through traditional archaeological research. 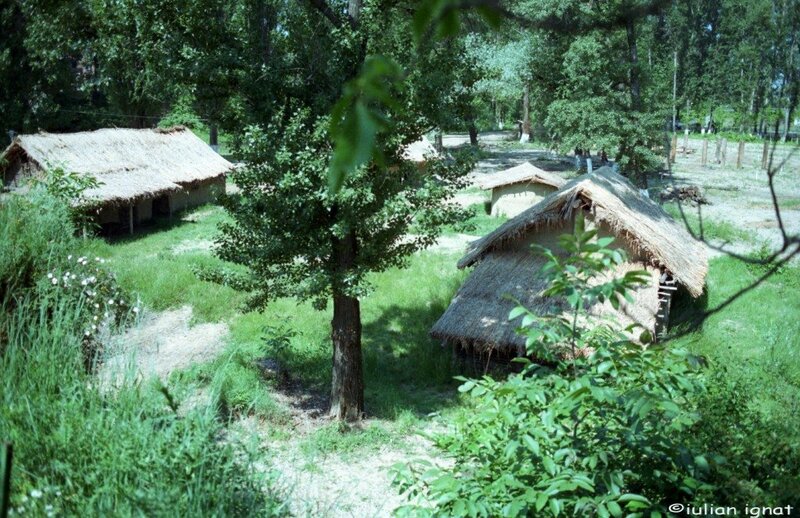 As a concept, the Archaeological Park is based on archaeological data that came from excavations of the Late Iron Age (2nd c. BC – 1st c. AD) in Romania. Work at ArchaeoPark ASAIR began in 2008 with the project entitled An Ancient Space within the Contemporary Frame of Mind (2008-2010), in partnership with the local authorities (the City Council of Bragadiru, Ilfov County; the Ilfov County Council). 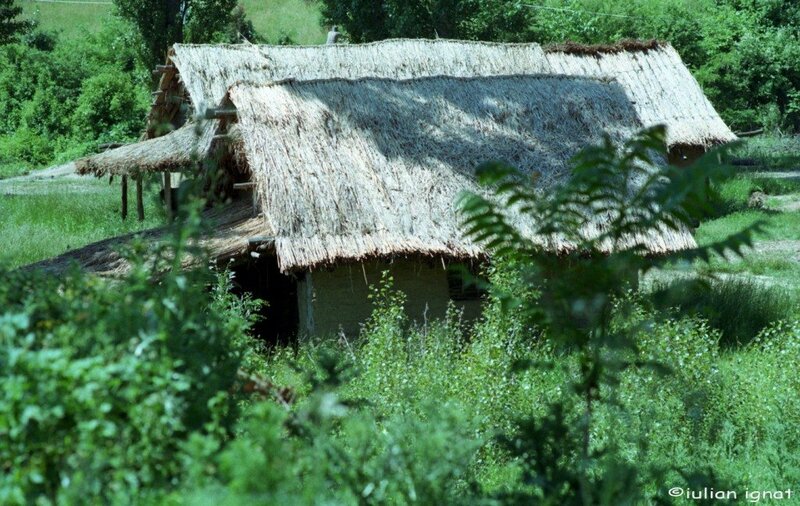 At the time, the project consisted of (re)constructing four structures found in the archaeological sites of Popești (Giurgiu county) and Cățelu Nou (Ilfov county), as well as two workshops, a pottery workshop and a smithy, intended to be functional. The central structure at the time was a bicameral dwelling with a porch (“Casa cu prispă”). The structures had to be demolished and rebuilt in a new location, also in Bragadiru. After approximately one year, during which the structures were rebuilt, a new one was added, based on the “sanctuary” or “temple” found at Popești, through the project entitled Discover the Past Shape (2012), in partnership with The Administration of the National Cultural Fund – A.F.C.N. The sanctuary, discovered at Popesti (Giurgiu county), is the centerpiece of the ensemble, a 18 m by 12 m structure, with an unique architecture for this particular space and time, and having an apse and 26 wood columns with a diameter of 0.4 m.
using different tools and equipment, materials, using different techniques of preparation, forming and finishing techniques, decoration, glazing, etc. experimenting techniques of firing and drying. For the purpose of disseminating the information and also to create a framework in which students could present their own research and express their opinions in archaeology, ASAIR periodically organises along with the Faculty of History, University of Bucharest, several conferences and symposia (Terra Blaccorum – 2007, 2009, 2011; Archaeology Days – 2010), as well as a series of students’ meetings. As soon as we obtain the legal status of a museum, we will open the park to visitors. So far, we can only refer to our team of colleagues, our professors, our volunteers. However, our park can be visited by the public during legal holidays or at the weekend, as it is located in a public space, sometimes the number of the visitors (or interested parties) several thousands. 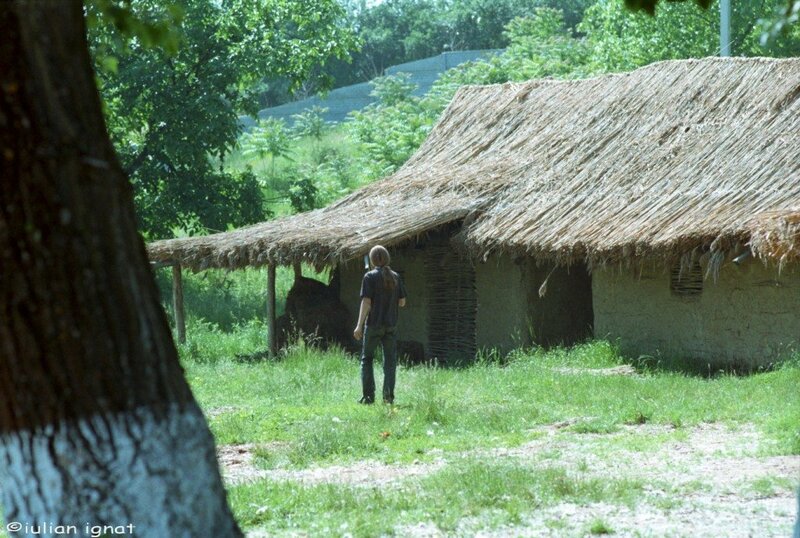 We intend to publish monographs dedicated to all the activities of experimental archaeology ongoing in our park. For the time being, general information is available on our official site. The members of the association (MA and PhD students) are specialised in different areas of research (funerary archaeology, landscape archaeology, classical and historical archaeology, cultural history, social history, military history, Greek and Roman historiography, history of technology, ancient economy, lithic analysis and vernacular architecture). Students’ Association in Archaeology and History from Romania - A.S.A.I.R. I am a founding member of A.S.A.I.R. (2007), President since 2009, and General Manager of the program ArchaeoPark A.S.A.I.R. and the projects An Ancient Space within the Contemporary Frame of Mind and Discover the Past Shape. I studied Ancient History at the University of Bucharest and graduated with a thesis on Wars and warfare in Ancient Greece. I am a member of A.S.A.I.R. since 2007 and Vice-president since 2009, as well as a member of the Research Department of ArchaeoPark A.S.A.I.R. and Assistant Manager of the project Discover the Past Shape. I graduated the University of Bucharest with a thesis on the Middle Bronze Age Tei culture. I am a member of A.S.A.I.R. since 2007 and Vice-president since 2012. I graduated the University of Bucharest with a thesis on Late Iron Age hill forts and I am currently following the PhD Program at the “Vasile Pârvan” Institute of Archaeology, Bucharest, with a thesis on the habitat and funerary phenomena of the Second Iron Age. I am also a member of the Research Department of ArchaeoPark A.S.A.I.R.